As my time of writing up is upon me, I feel this blog will become a very important procrastination tool. This may mean one of two things: 1) No more posts as I simply can’t summon the energy 2) Lots of posts with very variable quality. I may also decide to blog about all sorts of non-biological things. Or things that are biological but from a thoroughly unacademic angle. PLoS ONE: Exploring or Avoiding Novel Food Resources? The Novelty Conflict in an Invasive Bird. PLoS ONE: Prey Capture Behavior in an Arboreal African Ponerine Ant. 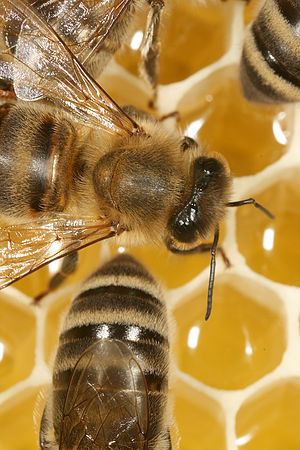 PLoS ONE: Learning Impairment in Honey Bees Caused by Agricultural Spray Adjuvants. Both of these experiments I have to somehow fit into one thesis. Some of you may say, “well that’s easy, they’re both about fish”, to which I say “yes, but one is behavioural ecology and the other is applied animal behaviour”. One answers important biological questions, the other answers important practical/commercial questions. I should say attempt to answer for fear of sounding arrogant. After spending all this time collecting data, I rushed off to ISBE2012 in Lund, Sweden to present the nice behavioural ecology data. The conference was amazing with so many exciting things to hear and learn about. Truly great. And I got to meet lots of “tweeps” (I hear that’s the term. I prefer Twits). I believe the highlight of the conference for me was hearing about some lowly cleaner wrasse totally being able to compete with chimps on the mirror test! Boo ya! (Yes, very strong fish bias coming from this behaviourist). The ability for an animal to recognize its own reflection (self-recognition in mirror, «SRM») suggests a sophisticated cognitive ability, and has been demonstrated in highly social animals such as apes, elephant, dolphins and magpies. Among fish, cognitive ability is comparatively low, and SRM is assumed to be beyond the scope of fish cognition. We examined the potential for SRM in the cleaner wrasse, Labroides dimidiatus, which must recognize and respond to visual cues of ectoparasites on the bodies of client fish, and so is assumed to have relatively high cognitive and perceptual ability. We show for the first time that fish can recognize and respond to their own mirror image. We marked fish on the head or throat in locations that the fish could not directly see, and allowed the fish to examine their own reflection. Fish marked on the throat assumed a vertical body axis position in front of the mirror to examine the marks significantly more often than sham-marked fish, while fish marked on cheeks displayed the lateral side of their body to the mirror significantly more frequently. 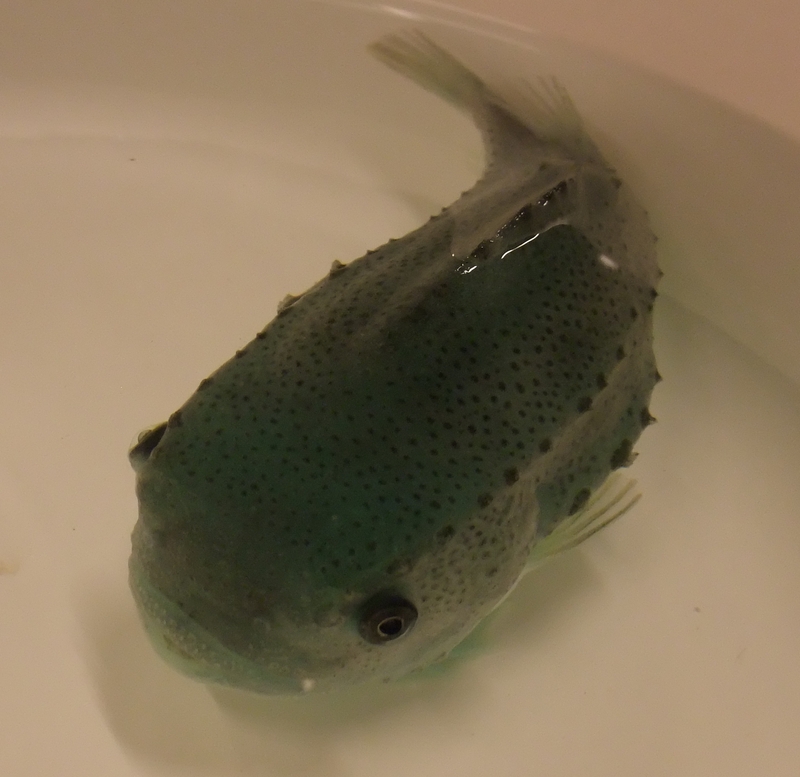 Furthermore, treatment fish attempted to remove the mark by scraping either their throat or chin against the sand bottom, as if trying to remove the «parasite» after observing it in the mirror, a behavior never observed in sham-marked fish. We conclude that cleaner wrasse can recognize their own reflections and respond in an ecologically relevant way, suggesting a level of cognitive ability never before reported in fish. Don’t worry, this hasn’t turned into a sports blog. However, this little study on PLoS ONE was too good to let pass. They studied football (the British type, what some people might refer to as soccer) and how the players feign being tackled. Their study was about deception and when deception is adaptive – or to put it plainly, when it pays to cheat. Image via Wikipedia: Yes, this was one of my field sites. Apparently this PhD malarkey is busy work – who would have thought it? 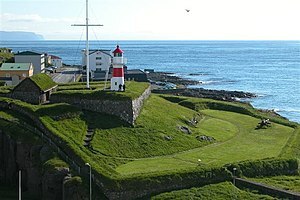 The “away” that I’ve been at is the Faroe Islands. It’s a small place of little consequence to everyone but the few of us lucky enough to have grown up there. I’ve somehow managed to make it so, that I could carry out fieldwork up there, which allowed me to see (very little of) my family while also working. I stayed partly with my mum and partly with my boyfriend while there and spent most of my time either in the field or recharging batteries watching One Piece with English subtitles. Who’s the cleverest in the land: let the battle begin! So this time I have two articles to talk about. Hope it makes up for the lack of post last week. I was a bad girl, I know. First up are the bird brains. The following article pits New Caledonian crows (love corvids!) 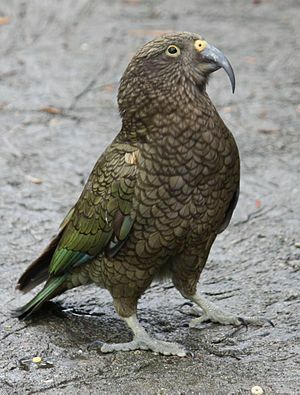 against keas (parrots are ok too, I guess). They are given the same task, which is basically a puzzle with four different solutions and food as reward. The waggle dance is about sound too! When I was an undergraduate I first learned about the honey bee waggle dance. I found it absolutely fascinating and I still do. Imagine these tiny insects that most of us consider too “unintelligent” to do anything nearly as complicated as produce language. Yet there they are dancing away to tell the other bees where the food is at. They do it so well, too. It’s really impressive. I suppose I never really thought of the mechanics of this communication much, because I’d always been under the impression that the communication was visual, but these guys say that sound is an important factor because some of the bees do this dance inside dark hives where they aren’t as easy to see. Apparently, when honey bees dance inside dark hives (depends on species), they produce a sound at around the same frequency as their flight sound. The sound comes from wing vibrations, which are a part of the waggle dance itself. However, seeing as wing vibrations at the same frequency as flight could be a confusing signal, they also produce this sounds at a specific rhythm, which allows them to advertise that this is a waggle dance. The other bees hear this sound, and are then able to come and find out where the food is. Now I do a lot of moaning (in real life) that my sticklebacks aren’t behaving the way I want them to and I can see how that might seem unscientific of me. In some sense it probably is unscientific. I should probably investigate why they are behaving how they do and carry out some experiments to see which changes to how I treat them or how they lead their laboratory lives might change their behaviour. However, I’m really not interested at this moment in time. Maybe when I’m a grown up scientist I’ll submit a grant application to investigate all the little annoying quirks of sticklebacks.